Dana Hathaway doesn’t know it yet, but she’s in big trouble. When her alcoholic mom shows up at her voice recital drunk, again, Dana decides she’s had enough and runs away to find her mysterious father in Avalon: the only place on Earth where the regular, everyday world and the captivating, magical world of Faerie intersect. But from the moment Dana sets foot in Avalon, everything goes wrong, for it turns out she isn't just an ordinary teenage girl—she's a Faeriewalker, a rare individual who can travel between both worlds, and the only person who can bring magic into the human world and technology into Faerie. Glimmerglass takes place in a slightly altered world. Unlike most faerie stories, the existence of faeries is widely known in the Glimmerglass world. However, faeries and humans only interact in Avalon, a mountainous area just outside of London. It's a country within a country, like the Vatican, complete with its own immigration. That's where the interaction stops: humans cannot enter the faerie realm and faeries cannot enter the human realm. Dana Hathaway has always known she was half faerie, but she's never met her father. Her mother hid Dana's existence from her father and never set foot in Avalon with Dana. But after one too many drunken embarassments by her mother, Dana runs away to Avalon to find her father. As soon as she does, she finds herself at the center of a family and political war. Dana is a Faeriewalker, the first one in 75 years. She can exist in both worlds and any faerie that has Dana on its side will have a huge amount of power. Dana makes a lot of fast friends and enemies in Avalon. There's her aunt, who is either trying to lock her up or protect her. There's Ethan and Kimber, who are either trying to protect her or use her for political gains. There's her father, who either needs her for political gains or loves her. Lots of politics here. Ethan and Kimber are great characters. Ethan is the typical hot, arrogant guy who seems to have some substance underneath his bravado shell, but the plot has him doing so many things that are questionable that it's hard for Dana or the reader to know if he's good or bad for much of the story. There's also Kimber, who comes off as a real ice princess, but then seems like a cute fun best friend too. Dana's father has a hard shell, but you also see his love for his daughter. I also really liked the characters of Finn and Keane, Dana's bodyguard and his son. Especially Keane. I love how the characters are all three dimensional, for the most part. They all have flaws - realistic flaws - and you also can understand their motivations. The set of interesting characters made the story for me. The only character aspect of the story that bothered me was at the main climax at the end, when I thought some of the bad-guy dialogue was a bit too fake. Like a B-grade movie. 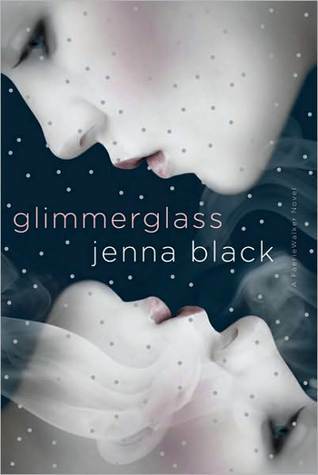 Other than that, Jenna Black did a great job with the characters. I would like to understand the fantasy world a little better. We learn about magic, the faerie realm, and Avalon as the book goes on, but I still felt like there were big gaps in the world building. Part of the problem with this is that the faerie world is not a complete surprise to Dana. While there's much she learns throughout the book, she has known about faeries her entire life. It's easier to introduce a fantasy world to readers when it's new to the character as well. That way, you have an excuse to include lots of background. I think the world will be better developed as the series goes on, but I still felt more confused than I would have like at times. I love this series! I thought the twist at the end is good! Nice review! I'm hoping to get round to reading this one soon as I still haven't read it yet! Ugh! I HATE when I get confused because things aren't explained thoroughly! I've got this book in my tbr pile but haven't gotten around to it. I think I was reading too many faerie books at the time. I hope the world building gets better with the second book. Great in-depth review. I unfortunately ended up tossing this one into the DNF pile. I don't exactly know why, but I could not get into the story at all and was unable to connect with the heroine. So, after a handful of chapters, I just gave up. I'm always intrigued by books about other worlds, like faerie. Great review! I have this book in my TBR pile. I think it's an interesting twist that faeries are out in society and known the humans. I don't read many faerie books, but I'm looking forward to this one. I agree it's nice to get a better sense of the magical world at least from a characters POV who doesn't know exists or knows much about it. I love stories about Fae :) I'm really glad you posted this review, especially as I'd never heard of it before now! I'll definitely keep an eye out on the shelves! Awesome and well-detailed review. I have been wanting to read this one since I've heard many great things about it. Great review. I have never heard of this book before so it was nice to not only have it brought to my attention but to also hear your take on it. I'd been wondering about this book. I'm a bit disappointed that the set up didn't take shape as it should have for a reader who is new to the world. Thanks for your honest take, Alison. If I was more into fairies, I might have given this a try.